Chris Pratt, Taylor Swift, Ariana Grande, Ellen DeGeneres, Adam Sandler, Robert Downey Jr., Shawn Mendes, Zendaya, Selena Gomez, Joey King and DJ Khaled were among those who won coveted orange blimps at Nickelodeon’s Kids’ Choice Awards. 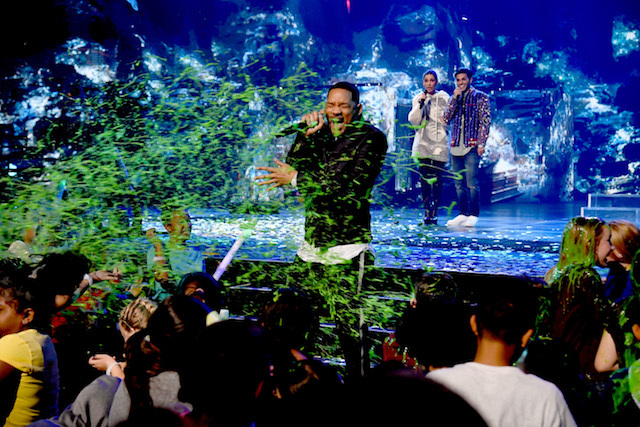 This year’s party kicked off with DJ Khaled making his way to the stage n style, with an assist from friends Kylie Jenner and the Jonas Brothers. His next-level arrival began with a ride in a Rolls Royce Phantom, followed by a cruise on a luxury yacht, and a trip on board the “Kids’ Force One” helicopter before landing onstage. T.I. 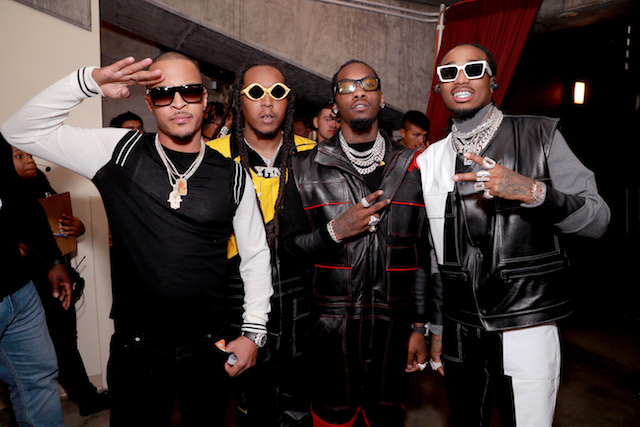 (L) and Migos attend Nickelodeon’s 2019 Kids’ Choice Awards at Galen Center on March 23, 2019 in Los Angeles, California. DJ Khaled had to don a JoJo bow after losing a dance battle to JoJo Siwa in a live vote and also surprised the audience by unboxing social media sensation Ryan of Ryan Toys Review; social media star David Dobrik, Chris Pratt, Josh Peck and Adam Sandler were soaked and the show culminated with DJ Khaled turning up the volume one last time with the biggest sliming of the night, blanketing the first-time host and the crowd. 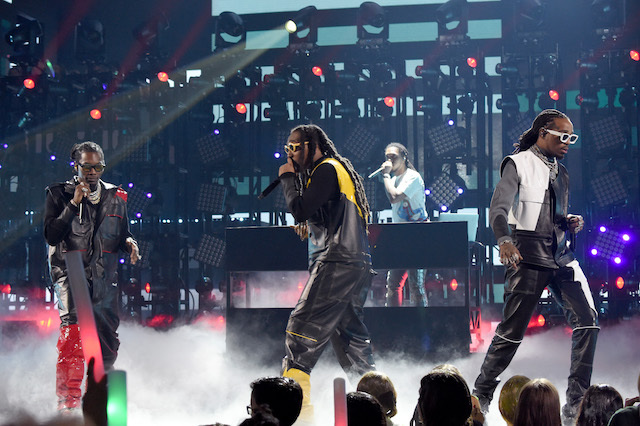 Migos performed their hits “Walk It Talk It” and “Stir Fry,” along with rising single “Pure Water,” accompanied by DJ Durel. Additional celebrities in attendance included Jennifer Hudson, Janelle Monáe and Shameik Moore,.